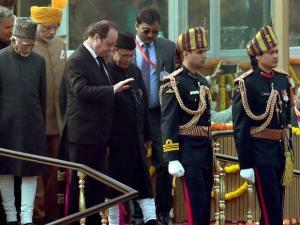 President Pranab Mukherjee with French President Francois Hollande leaves after the 67th Republic Day parade at Rajpath in New Delhi. 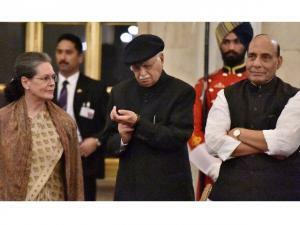 Senior BJP leader LK Advani and UPA chairperson Sonia Gandhi and Home Minister Rajnath Singh during a banquet hosted in the honour of French President Francois Hollande, at Rashtrapati Bhavan in New Delhi. 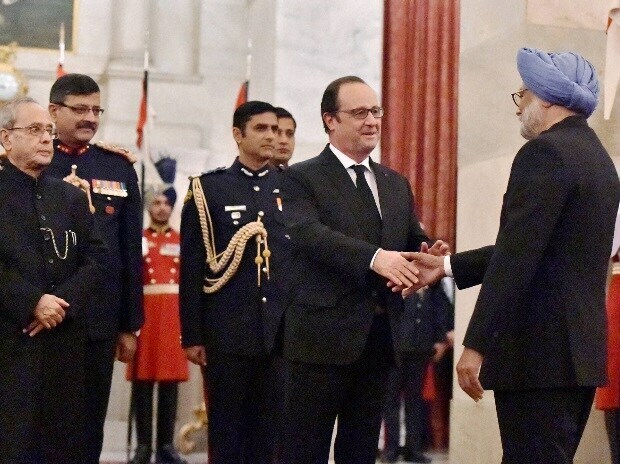 President Pranab Mukherjee looks on as French President Francois Hollande shakes hands with former PM Manmohan Singh during a banquet hosted in the honour of French President Francois Hollande, at Rashtrapati Bhavan. 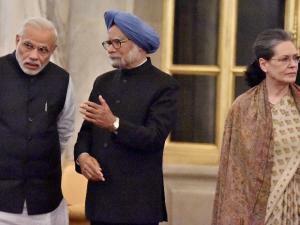 Prime Minister Narendra Modi and former PM Manmohan Singh talks as UPA chairperson Sonia Gandhi looks on during a banquet hosted in the honour of French President Francois Hollande, at Rashtrapati Bhavan in New Delhi. 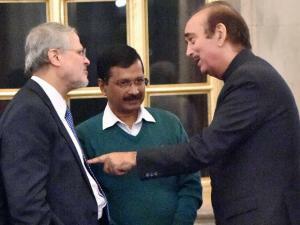 Delhi LG Najeeb Jung, Chief Minister Arvind Kejriwal and Congress leader Ghulam Nabi Azad during a banquet hosted in the honour of French President Francois Hollande, at Rashtrapati Bhavan in New Delhi. 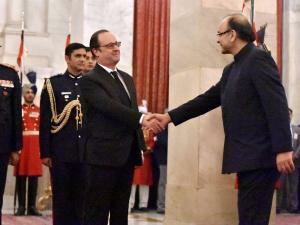 French President Francois Hollande shakes hands with Finance Minister Arun Jaitley during a banquet hosted in honour of French President at Rashtrapati Bhavan in New Delhi. 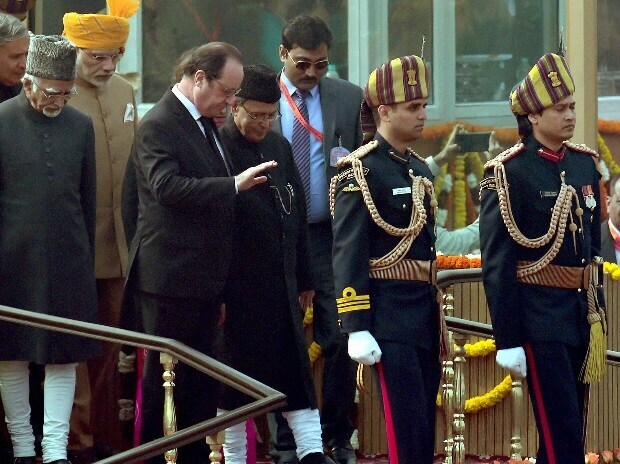 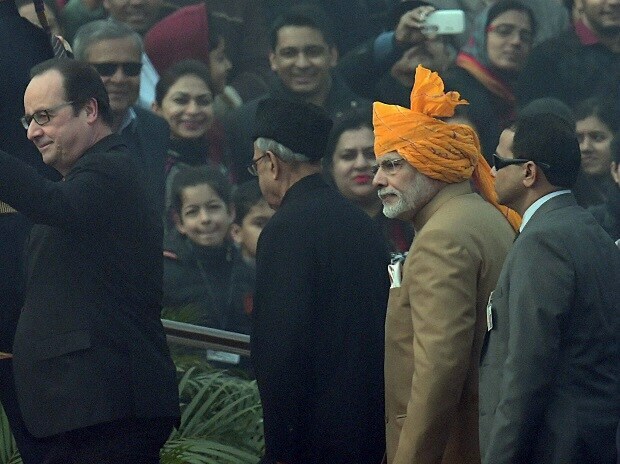 Prime Minister Narendra Modi with French President Francois Hollande arrives to attend the 67th Republic Day parade 2016 at Rajpath in New Delhi. 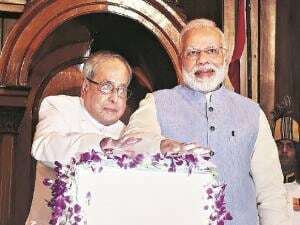 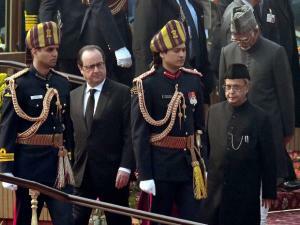 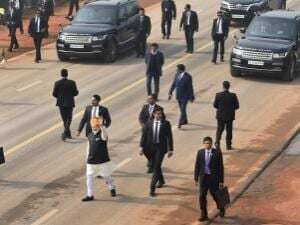 President Pranab Mukherjee accompanied by French President Francois Hollande Vice President Hamid Ansari and Prime Minister Narendra Modi during the 67th Republic Day parade. 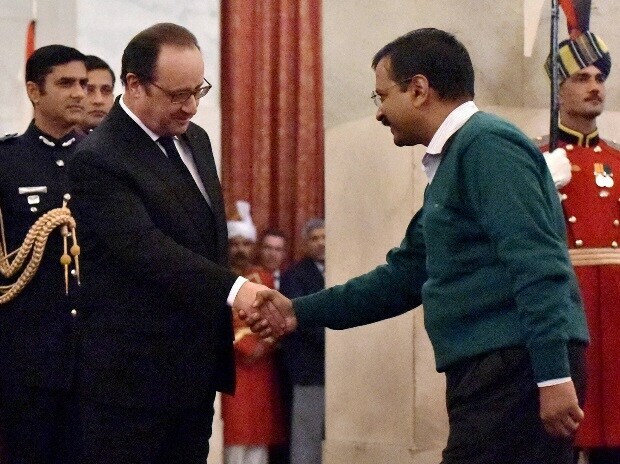 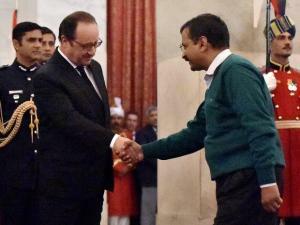 French President Francois Hollande shakes hands with Chief Minister Arvind Kejriwal during a banquet hosted in honour of French President at Rashtrapati Bhavan in New Delhi. 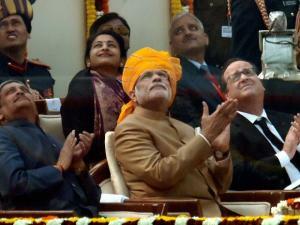 Prime Minister Narendra Modi French President Francois Hollande and Defence Minister Manohar Parrikar watch the flypast during the 67th Republic Day parade 2016 in New Delhi.